Lift Design: Why Choose Bespoke? A lift offers a safe way of providing easy-access to multi-level home or commercial settings, enhancing its accessibility and building style. When you think of a lift, you may think of typical or traditional lift design with a mainly basic purpose. However, here at Axess2 we are one of the very few UK lift specialists who offer truly unique, bespoke and designed-specifically-for-you lifts to suit any need or setting. Whether you wish to tweak an already existing model or design a completely new lift to suit you, bespoke lifts combine purpose, use and design in contemporary design. Here are a few reasons why bespoke lift design may be the perfect option to suit you and your lift requirements. 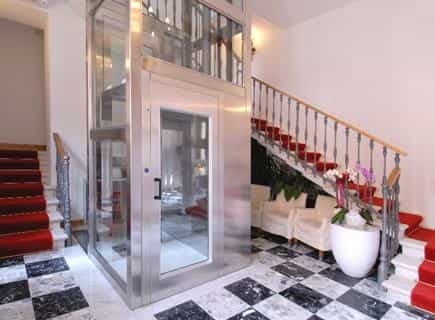 If you require a lift solution to suit a home setting, you won’t want to place a commercial or traditional lift design in a furnished and homely surrounding. Whatever lift model you choose, bespoke lifts enable you to fully create a complementary and perfectly needs-met solution in your desired setting. 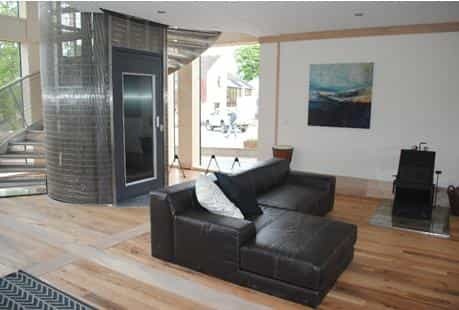 Bespoke lifts offer unique design features including door and cabin options and custom finishing materials to make sure your bespoke lift fully enhances and complements your home surrounding and décor. Whatever you imagine, Axess2 can match your imagination! 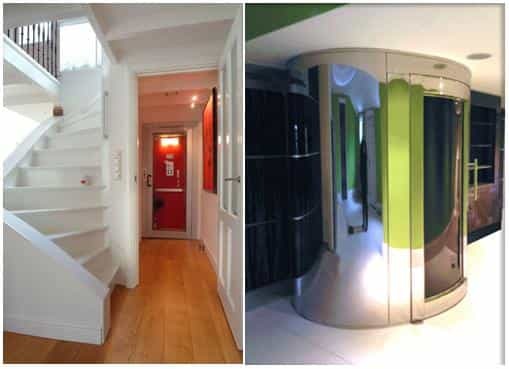 Whether you are short of space, or have an unusual shaped interior, by considering bespoke lifts your requirements are really able to be met and options are given to suit your homes design quality. Challenging installations are able to be given full extensive lift solutions to suit both budget and architectural limitations, to find the best possible answer to lift requirements. Often, most homes don’t have the space or minimum requirements for standard platform lifts, and recently, low headroom pitless lifts are becoming increasingly popular due to their custom options and space saving qualities. By choosing bespoke, critical consultations and ongoing communications are made throughout the design and build process, resulting in perfectly suited design outcomes. Many well-known names in the commercial sector have taken advantage of bespoke designed lifts, to suit not only their aesthetic and company brand but to fit space and building requirements. Bespoke lifts are also the ideal options for domestic lift solutions – keeping in mind that every home is different, therefore every lift need is different. Whatever your lift requirements, whether a step lift, pitless or inclined platform lift – Axess2 are rapidly becoming the leading specialist choice for architects and specifiers in both domestic and commercial settings. To get a free quote or for further information and advice regarding any of our access products please feel free to get in contact with our friendly and helpful team on 01200 405 005 to discuss your bespoke lift solution today!